Try to live the Christian life. Impossible, right? We've all tried. Our efforts, as noble and sincere as they may have been, did nothing more than litter our paths with failures and frustrations. God never meant for us to live the Christian life through human effort. The dynamic of this new adventure in Christ does not rest on our shoulders. God sent Jesus to live His life through us. 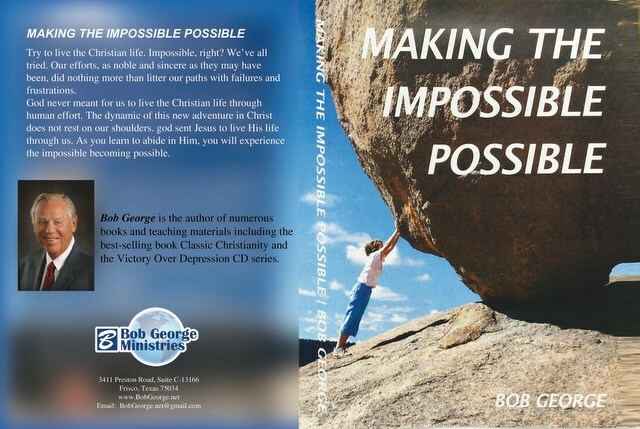 As you learn to abide in Him, you will experience the impossible becoming possible.